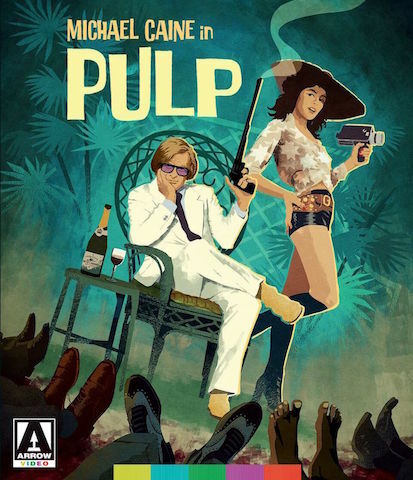 Caine plays Mickey King, a successful pulp novelist responsible for such titles as My Gun Is Long and The Organ Grinder, who is invited to ghost-write the autobiography of a mystery celebrity. His client turns out to be a former actor, played by Mickey Rooney, well-known for his gangster roles and real-life gangster connections – but death is around the corner, and King finds his commission to be a lot more complicated than he first imagined. 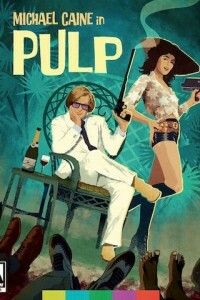 A favorite of J.B. Ballard, Pulp has long existed in the shadow of its predecessor. Tonally, it could not be more different – Get Carter never had the time for sight gags and one-liners – but it’s a real gem in its own right and fully deserving of a wider audience. This brand-new restoration from Arrow Films aims to right than wrong.